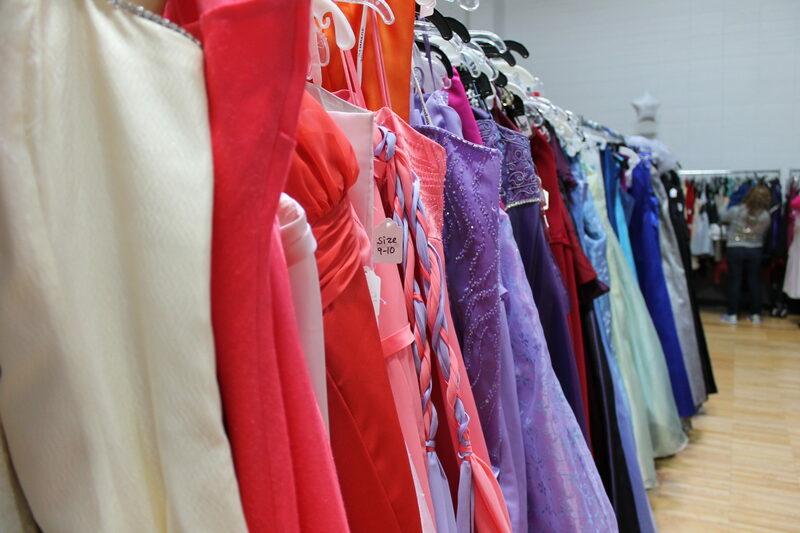 Cinderella’s Closet is run solely by volunteers. Volunteer responsibilities may include: sorting & purging dresses, event setup & breakdown, personal shopper, runner, and seamstress. Cinderella’s Closet uses an electronic volunteer tracking system called SignUp, if you are interested in volunteering please click the link below to be redirected to our volunteer tracking site. The Cinderella’s Closet Committee is looking for businesses or individuals to become vendors at our 2019 event. 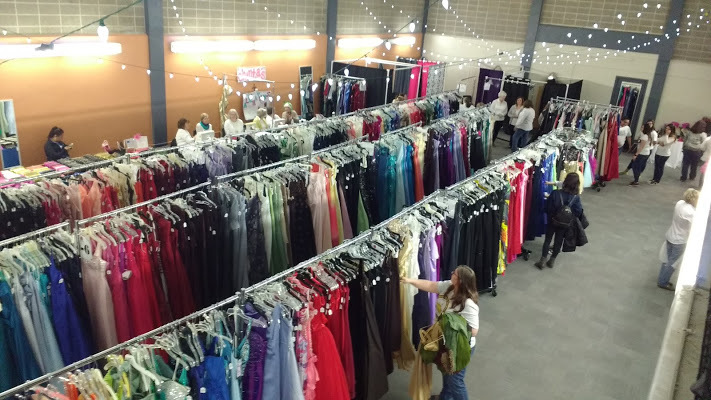 All vendors must be prom related, such as: make-up artists, hair or nail salons, sell accessories that could be worn at prom (purses or make-up), formal-wear for men, limousine companies, florists, etc. We will not allow jewelry vendors this year due to the fact that Claire’s, our title sponsor, will be giving away jewelry for free. 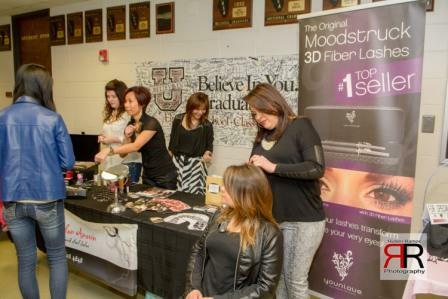 If you choose to become a vendor we encourage you to make your booth interactive in order to appeal to attendees, such as live demonstrations if you are a hair stylist and make-up artist or having testers of products. Cinderella’s Closet is attended by roughly 200 high school girls and their parents,please plan accordingly. The vendor registration fee is $75. Your registration fee entitles you to table (with table cloth if needed) to display items on, 2 chairs, the ability to provide event attendees with product samples, information about your business, book appointments and the YWCA Elgin will promote your business on Facebook (electric is available on a limited basis). Due to the nature of the event we do ask that all vendors are female. However, if this is not possible please contact Sherry Kinser at 847.742.7930 and we will situate your booth outside of the designated boutique area. Vendor space is limited because we do not want to have a great deal of overlap in services. Due to the limited space we encourage you to register ASAP to ensure your spot! To become a Cinderella’s Closet vendor please email the YWCA Elgin at info@ywcaelgin.org to confirm that space is still available please note that your space is not reserved until we have received payment. Donating a prom dress is simple! Dress donations are accepted year round and all you need to do is drop by the YWCA, 220 East Chicago Street, Elgin, IL 60120 during business hours. Dresses can be handed in at the Customer Service Center and in return you will receive a donation receipt that can be used when filing your taxes. Do you want to hold a dress/accessory drive? First off, we would like to thank you from the bottoms of our heart for taking the time out of your day to do this for us! Secondly, we promise to help make your dress/accessory drive simple and painless. Cinderella’s Closet is in need of formal dresses in good condition and in current styles, particularly in plus sizes. We’re also looking for formal jewelry, handbags, wraps, and new, in-the-package cosmetics or samples. Do not feel that you need to include all of these items in your drive. Dress/accessory drives are usually held from the beginning of January through the end of February. This being said that does not mean that you must hold your drive during these months. Please keep in mind that for us to process the dresses for this year’s sale, they must be to us by the first week in March. If you are not concerned as to whether or not the dresses/accessories collected are used at this year’s event, feel free to run your drive any time you like. It is common to run the drive for about two weeks but you can have it longer depending on your needs. We want to help make your event a success so please let us know how we can be of service to you. When the racks get full, your donations can be delivered to the YWCA Elgin or feel free to contact Sherry Kinser at the YWCA Elgin by phone (847) 742-7930 or email skinser@ywcaelgin.org and we will arrange a pick-up.